1. 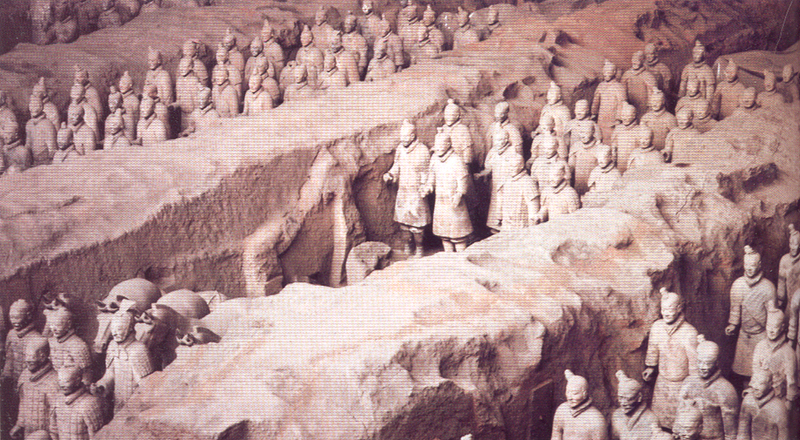 The army of life-size terra-cotta soldiers found in the tomb of the first emporer of the Ch'in dynasty. (256-206 B.C.E.) 2. 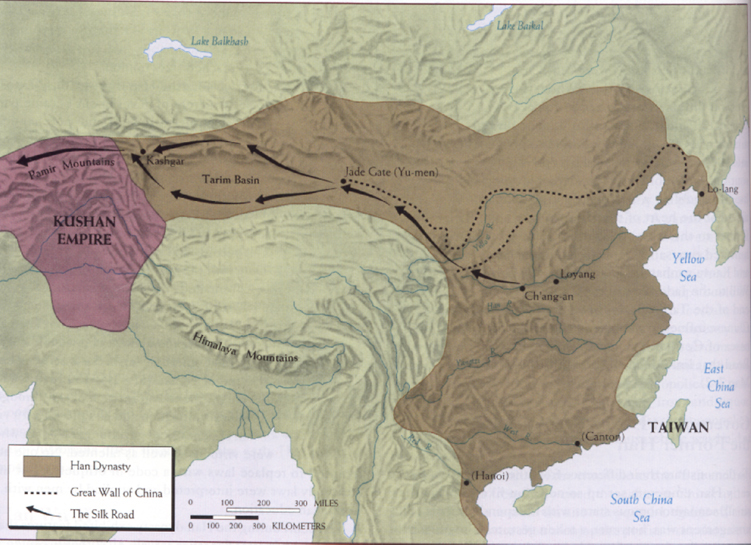 The Han Empire 206 B.C.E - 220 C.E. 3. Court figures painted on ceramic tile in a Han Dynasty tomb. 4. 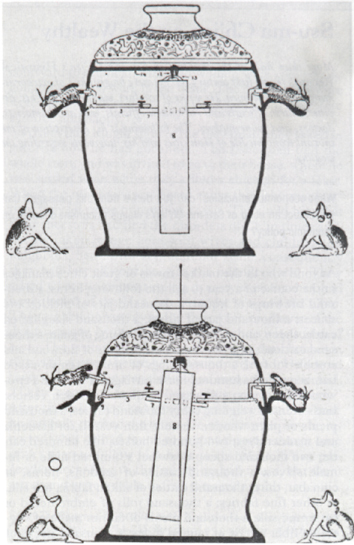 A Chinese Seismograph. The suspended weight swings in the direction of the earthquake. This moves a lever and a dragon drops a ball in the mouth of one of the four waiting ceramic frogs. 5. 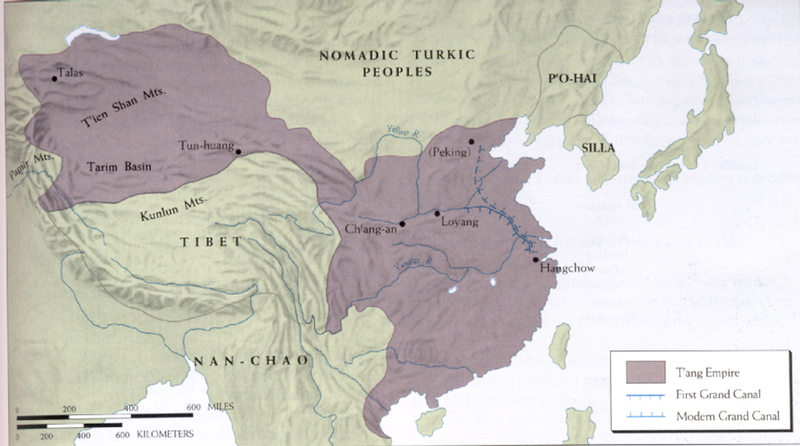 The T'ang Empire at its peak during the eighth century. 6. Stone sculpture of bodhisatva reflecting the full-bodied, almost voluptuous, T'ang ideal of beauty. 7. 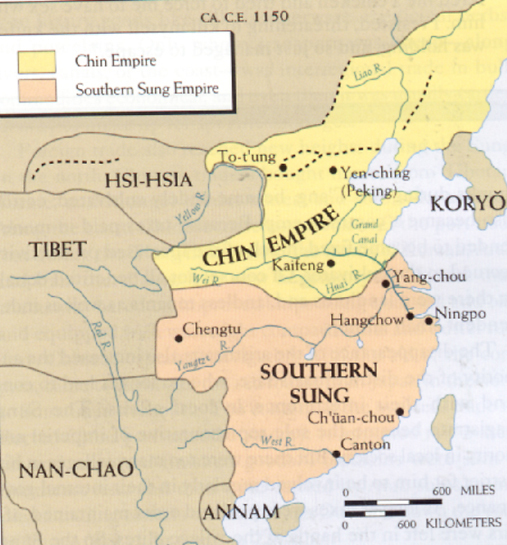 The Southern Sung and Chin Empires. 8. 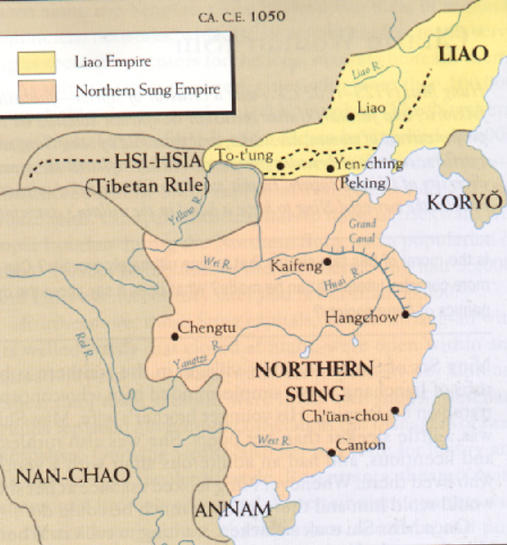 The Northern Sung and Liao Empires. 9. 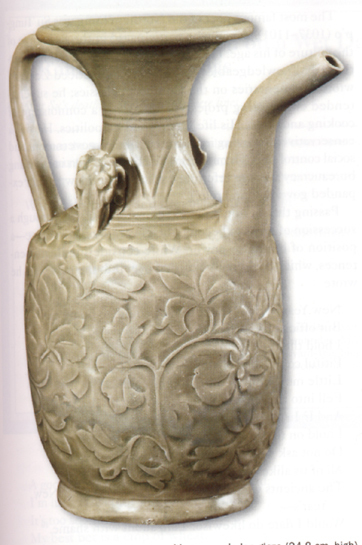 An elegant Sung dynasty wine pot with green Celadon glaze. 10. 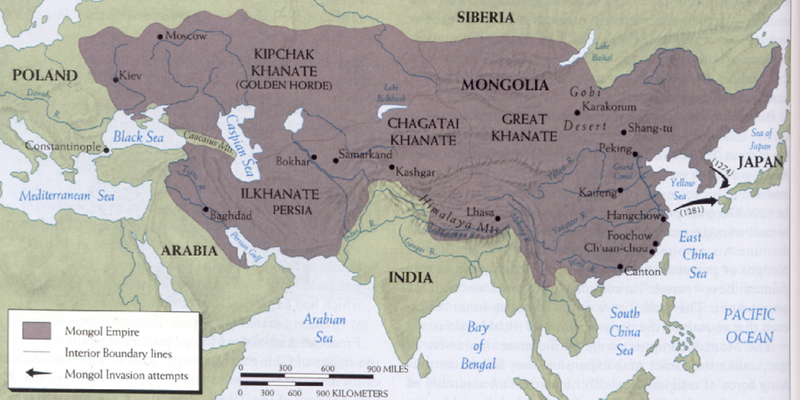 The Mongol empire in the late thirteenth century. 11. 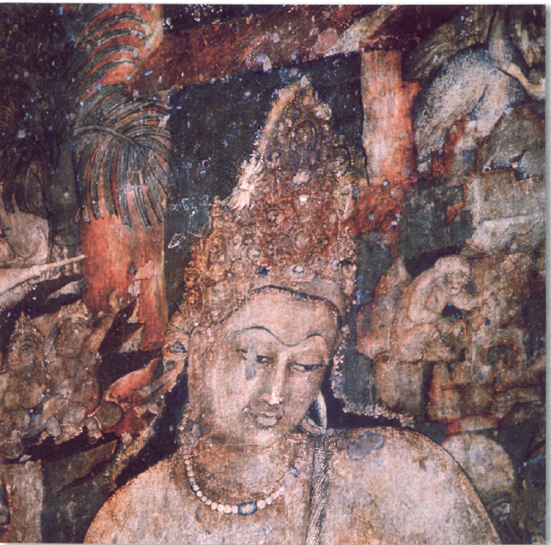 The Bodhisatva Avalokiteshvara, detail of a Buddhist wall painting from the cave shrines at Ajanta, Gupta period, ca 475 C.E. 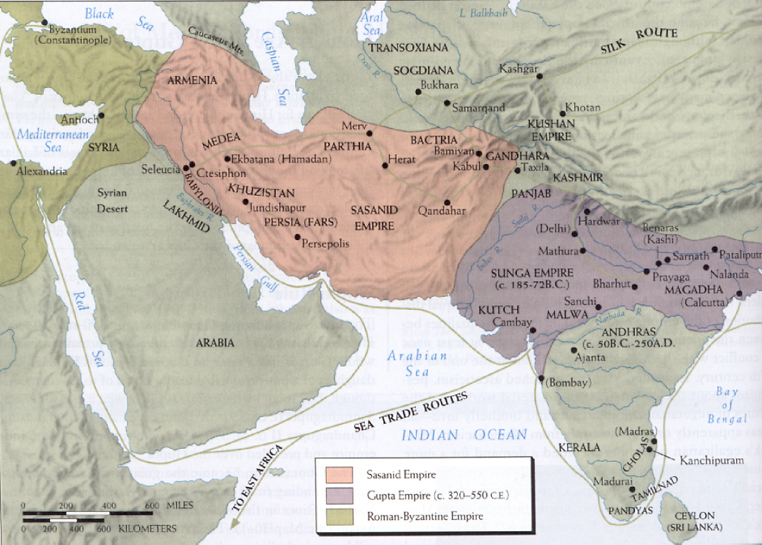 12. International trade routes in Gupta and Sasanid times. 13. Fifth Century C.E. 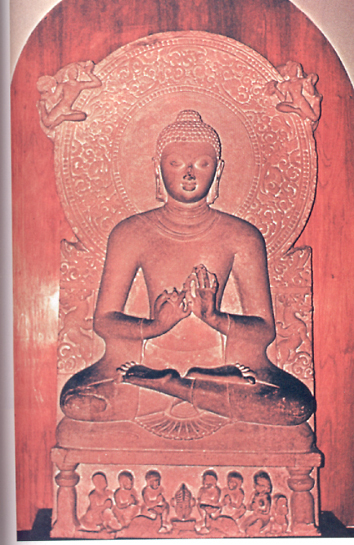 statue of Lokanatha from Samath, showing influence both from Gupta and Greco-Roman antecedents. 14. The Buddha preaching his first sermon. 15. 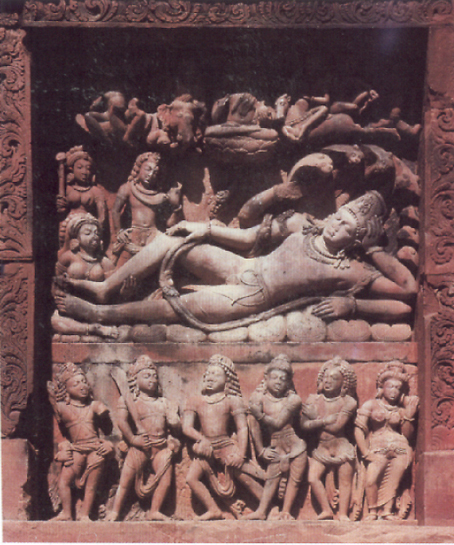 Vishnu reclining upon the cosmic waters at the beginning of creation, cushioned by the serpent infinity and dreaming the Universe into existence. 16. 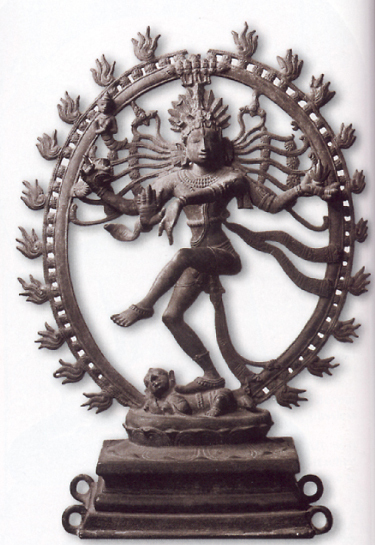 This fluid, balanced image depicts the so-called "dancing Shiva" engaged in his dance of simultaneous destruction and creation of the universe.